On Friday- December 15, 2017 I was given the opportunity to moderate my first event between Imam Omar Suleiman and Congressman Keith Ellison at the Texas Democratic Party event- Finding Common Ground. We chatted about the ongoing racism currently rising in our country, interfaith work, and the hopes they have for the future. While the event was not recorded, both Congressman Keith Ellison and Imam Omar Suleiman did an interview for the WiseUp TX podcast. 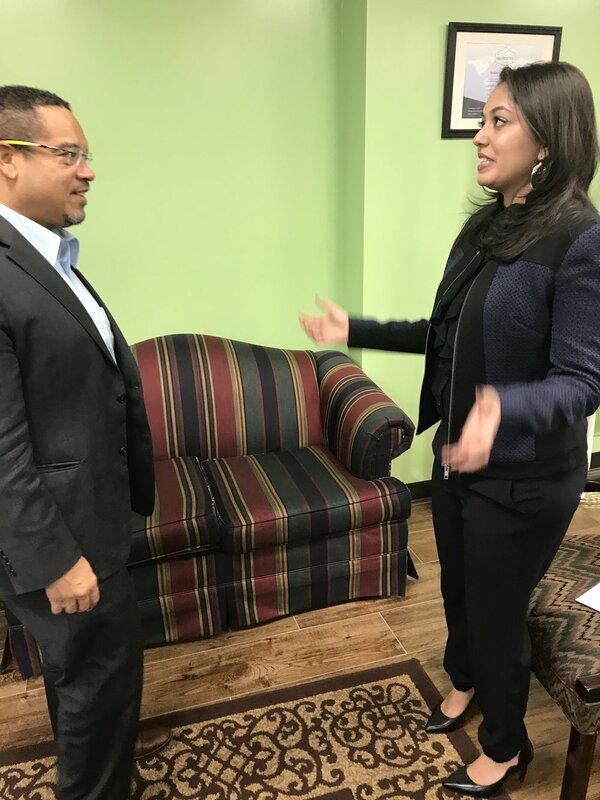 This week's segment focuses on our interview with Congressman Keith Ellison. We discuss the Muslim Ban, the impacts of the FCC repealing net neutrality and the implications of the current GOP tax bill. We also talk about his work with DNC (Democratic National Committee) Chair Tom Perez on mending the HRC/Bernie divide within the Democratic Party, how he broke the barriers to become the first Muslim-American person in Congress and the current atmosphere in Washington D.C. Tune in below to hear all about it! Check out some of the pictures from the event below!